Tiffany Blues by M.J. Rose is as beautifully written as its cover suggests. Readers will fall in love with Tiffany and his stained-glass windows, as well as his other artisan works. Laurelton Hall is a dream-like world that Jenny Bell falls into when her friend surreptitiously enters her in a competition for a residency. Rose always creates complex characters and settings that you could fall into immediately — this is another case in which I fell in love with art and colorful landscapes. There are so many reasons why Rose is an auto-buy author, no matter her subject. Her tales are hard to put down, and Bell’s story is no different. What happens when the color drains from your life and you lose everything dear to you? Bell’s life has been incredibly hard, but she still seems to carry her mother’s artistry with her — developing it even if her canvasses remain devoid of color. Her vibrant laughter sounded like the coppery glitter of her dwelling. Jenny Bell comes to Laurelton with nothing more on her mind than an experience of a lifetime, and her friend, Minx, has high hopes for her. But Bell learns that there is more to life than creating art in darkness. The light can be found in the best moments of our lives and that light is made up of different hues, some dark blue and deep and others yellow and airy. Rose is a master at weaving in historical details, mysteries to solve, and a bit of romance. Her vision of Louis Comfort Tiffany’s Long Island home for artists is magical and readers will be enchanted. Tiffany Blues by M.J. Rose is not to be missed. Fall into this stained glass window and fall in love with the artists. New York Times bestselling author M. J. Rose grew up in New York City exploring the labyrinthine galleries of the Metropolitan Museum and the dark tunnels and lush gardens of Central Park. 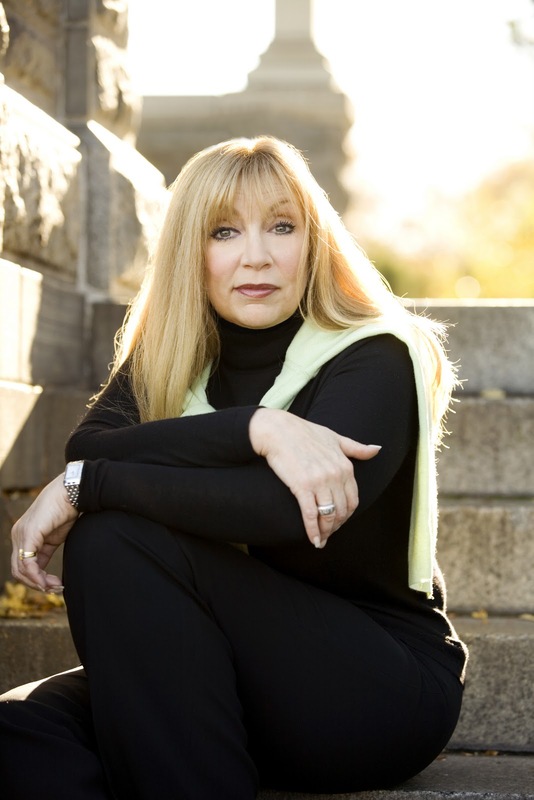 She is the author of more than a dozen novels, a founding board member of International Thriller Writers, and the founder of the first marketing company for authors, AuthorBuzz.com. She lives in Connecticut. Visit her website, Facebook, Twitter, Instagram. Dreams of Falling by Karen White, which came from the publisher. Tiffany Blues by M.J. Rose, which came from the publisher. Button Man by Andrew Gross, which came from the publisher. 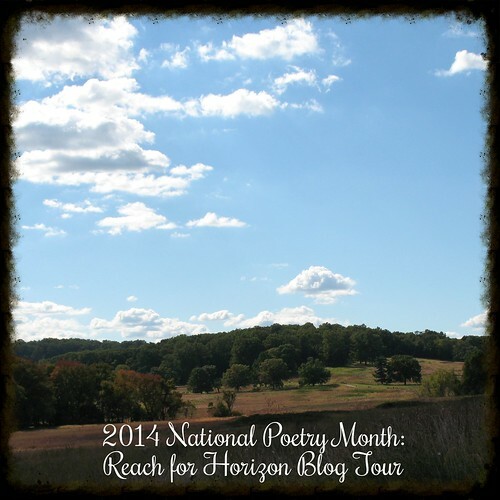 The Girl in the Pink Raincoat by Arlene Hughes, a blog giveaway win. M.J. Rose is an author who can transport you into any time and place, weaving in the occult and the mysterious along with history. It is utterly believable. Opaline Duplessi is one of the descendants of La Lune, a famous witch, and whose mother is featured in The Witch of Painted Sorrows, which I loved. In The Secret Language of Stones by M.J. Rose, Opaline has fled her parents and returned to the former home of La Lune — Paris. Rather than live with her great-grandmother, who also prefers to avoid the occult, she lives beneath the jewelry shop where she works for a family of Russian emigres, the Orloffs, who long for tsarist Russia to return from the hands of the Bolsheviks. Her work with stones in the shop leads her to use her gifts from La Lune to help the mothers, daughters, and wives left behind by the deceased soldiers of WWI. These soldiers have fallen while protecting Paris and others from the Germans, many lying in the trenches alone. Through her gifts, the crushed stones, and other engravings, Opaline is able to reach through the ether and provide these women with a bit of solace in their despair. Motivated by her own loss, and her inability to provide hope to a fallen soldier of her own, Opaline sees it as her duty to help these women with their grief. Rose has created an entire mythology with the Daughters of La Lune, but readers can read these books individually, though they’d have a richer experience reading them together. Her characters are dynamic and strong-willed women who navigate the unknown and often dark mysteries of the worlds beyond reality. Rose packs her narrative with history and artistry in a way that will fully absorb readers from page one. 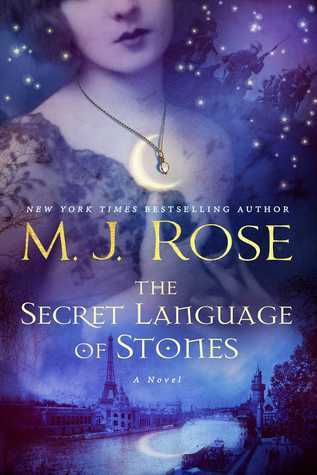 The Secret Language of Stones by M.J. Rose is captivating, feel yourself being drawn into the netherworld page by page, moment by moment, and uncover the mystery alongside Opaline. M.J. Rose grew up in New York City exploring the labyrinthine galleries of the Metropolitan Museum and the dark tunnels and lush gardens of Central Park — and reading her mother’s favorite books before she was allowed. 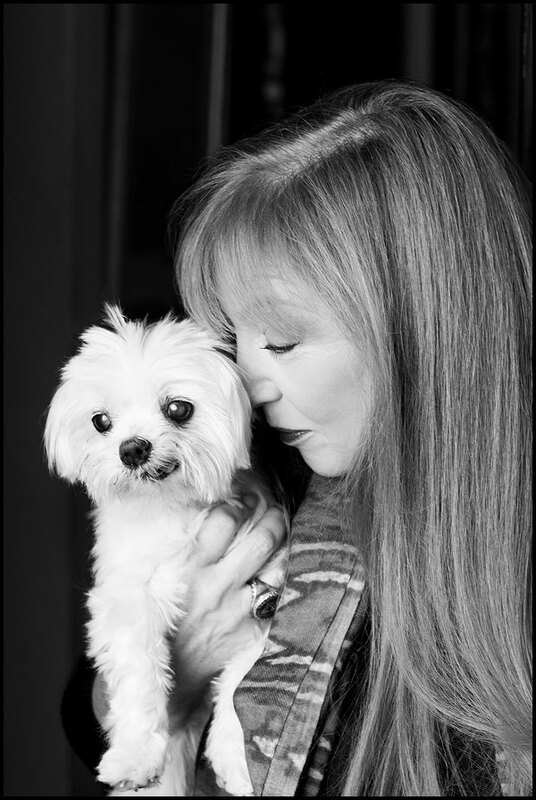 She is the author of more than a dozen novels, the co-president and founding board member of International Thriller Writers, and the founder of the first marketing company for authors, AuthorBuzz.com. 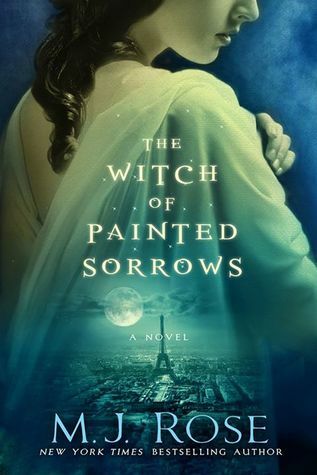 Sandrine Salome finds her world upended by her husband, Benjamin, and even as she flees to Paris from New York, she is haunted by her own ancestry in The Witch of Painted Sorrows by M.J. Rose. Paris is the city of light and painting and art, and Sandrine has always loved art. But her love of art is just one passion that drives her deeper and deeper into the mystical past of her courtesan ancestors, especially La Lune. Arriving on her grandmother’s doorstep unexpectedly, we learn that she and her grandmother only met occasionally throughout the years after she left Paris with her parents at age 15. Despite the distance, she is drawn to Paris as her home, and it is her sense of longing and desire for a new life that drives her closer to the edge of an abyss. Her secretive grandmother may have unwittingly provided Sandrine and her father with the tools they needed to become blind to the magic around them and to willfully turn a blind eye to the dangers that stalk them. But her warnings are stark and should not be ignored. Rose is a gifted story-teller who infuses her historical fiction with ancient mystery, passion, and wonder. Her characters love strongly and are often guided by things beyond their rational control, but at their hearts they believe they are doing right. Sandrine is no different. 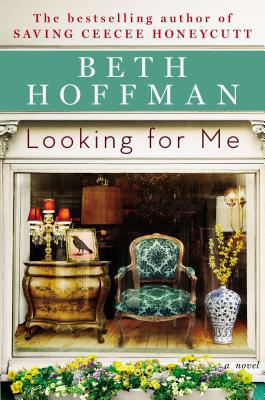 She has longed for a life free of constraint and to be immersed in art, and what she finds in Paris is more than she bargained for, but in many ways she’s afraid to give it up and to return to a lackluster life. The Witch of Painted Sorrows by M.J. Rose is a story of love, passion, and ambition, but at its heart, it is about the quest for immortality — even if it is just being remembered as a great architect or artist. Skeptics will enter this world and try to interject rationality, much like Julien does, but they will soon find themselves swept up in a story like no other and forced to re-examine their own conceptions of the spirit world. Is art a divine gift or is it a talent that can be nurtured and shaped into legend? Rose delves into these questions and more in her deeply layered world of artistry and passion. New York Times Bestseller, M.J. Rose grew up in New York City mostly in the labyrinthine galleries of the Metropolitan Museum, the dark tunnels and lush gardens of Central Park and reading her mother’s favorite books before she was allowed. She believes mystery and magic are all around us but we are too often too busy to notice … books that exaggerate mystery and magic draw attention to it and remind us to look for it and revel in it. Please visit her website, her blog: Museum of Mysteries; Subscribe to her mailing list; and Follow her on Facebook and Twitter. 1. The Daddy Diaries by Joshua Braff a surprise from Tandem Literary. 2. 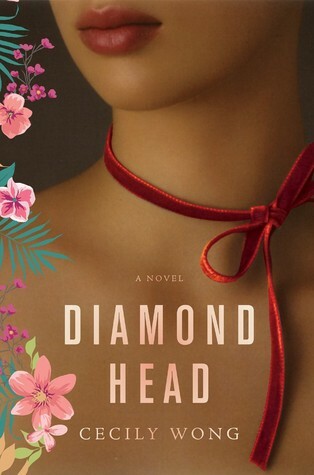 Diamond Head by Cecily Wong, which I won from GoodReads. 3. Chicken Soup & Homicide by Janel Gradowski from the author for her blog tour. 4. 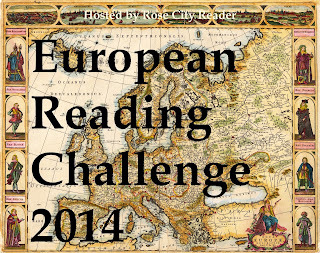 The Witch of Painted Sorrows by M.J. Rose for review with France Book Tours. 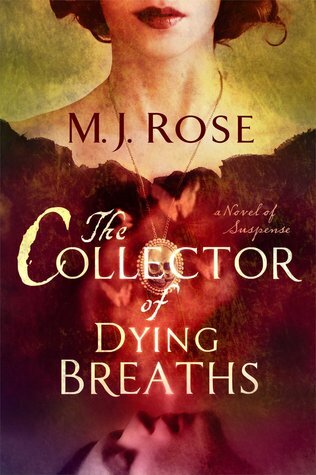 The Collector of Dying Breaths by M.J. Rose (the 6th novel in the Reincarnationist series and available on Kobo) can be read on its own given that Rose provides enough background on Jac L’Etoile and her previous adventures. The experience of reading these reincarnation books is enriched when the reader delves into The Book of Lost Fragrances and Seduction first. With that said, Rose has outdone herself in the latest installment, as we see Jac taking the initiative — even if she’s slightly pushed into it by her brother Robbie and Malachai — to deal with her memory lurches and reincarnated lives. Through a dual narrative — one in the past (1500s) and one in the present — Rose builds on the suspense until the very last page is turned. Jac is forced to deal with tragedy early on, but she soon immerses herself in a project that keeps her focused and forces her to engage with her questions about reincarnation and more. In the past, we are given a glimpse of the fine line between perfume and poison as Catherine de Medici’s perfumer René le Florentine, or Renato Bianco, navigates political intrigue, falls in love, and strives to completes his mentor’s — Serapino’s — work on reanimating dying breaths. 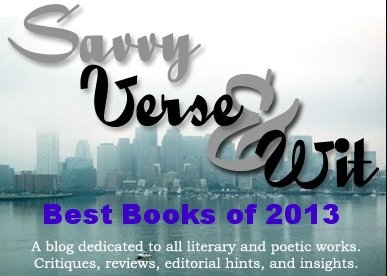 Rose’s prose is always sensual, slowly building a mystery that changes at every turn. Readers are spellbound by Jac’s search for truth, clinging to the hope that Rene’s formula for reanimating breath is real. Rene and Jac are connected, and that connection only gets stronger as she uncovers the secrets at his chateau in Barbizon, France. Like the scents that can evoke memory, Jac is drawn once again to Griffin, a man that has captivated for since college, and as they learn more about the past, their future becomes clearer. Romantic, dark, mysterious — Rose creates a world that is all-encompassing, allowing readers to suspend disbelief about reincarnation and more. As Jac faces her own demons and those swirling about her, she’s forced to see that fate does not mean she must surrender to an inevitable death or tragedy. The Collector of Dying Breaths by M.J. Rose is stunning in its passion, characterization, and setting, with Jac coming to terms with who she has been and who she will be in this life. Her passion for perfume is the connection she needs to survive the trials before her, and the love of her brother and Griffin are there to sustain her. Rose is one of the premier writers of mystery and romantic suspense, and she does not fail to captivate her audience from page one to the end. 1. 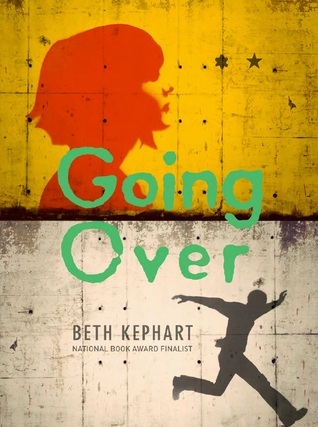 Going Over by Beth Kephart, which I purchased because I wanted the finished copy. I’ll pass along my ARC to my mom. Please read my review. In the early 1980s Ada and Stefan are young, would-be lovers living on opposite sides of the Berlin Wall–Ada lives with her mother and grandmother and paints graffiti on the Wall, and Stefan lives with his grandmother in the East and dreams of escaping to the West. 2. 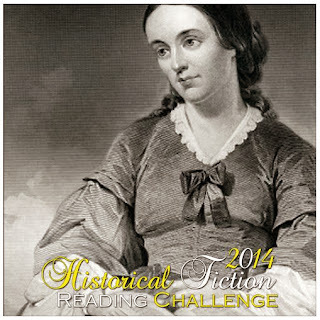 The Collector of Dying Breaths by M.J. Rose for a Historical Fiction Virtual Blog Tour in May. Florence, Italy—1533: An orphan named René le Florentin is plucked from poverty to become Catherine de Medici’s perfumer. Traveling with the young duchessina from Italy to France, René brings with him a cache of secret documents from the monastery where he was trained: recipes for exotic fragrances and potent medicines—and a formula for an alchemic process said to have the potential to reanimate the dead. Paris, France—The Present: A renowned mythologist, Jac L’Etoile, is trying to recover from personal heartache by throwing herself into her work, learns of the 16th century perfumer who may have been working on an elixir that would unlock the secret to immortality. Seduction by M.J. Rose shifts from the present day to the 1850s as Jac E’Toile uncovers more of her family and Malachai’s secrets, as well as the connections to seances, the Druids, and reincarnation. Memories and past lives cricle in on themselves revealing bit by bit how entwined Jac’s life is with Theo Gaspard, the man who invites her to the Isle of Jersey to research the island’s Celtic roots. In the process, readers see a side of Victor Hugo they may not have heard of before, a side that has been documented in his own notations. 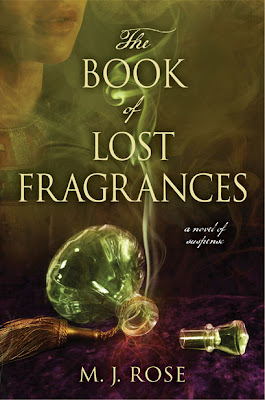 Like the other books in Rose’s reincarnationist series, Seduction can be read as a stand alone novel, though some readers may want to read The Book of Lost Fragrances (my review) first. Rose weaves mystery with romance, history, and elements of spiritualism. Hugo and the Gaspard family become obsessed with loss and overly consumed to the point where they are nearly willing to make a deal with the devil to bring back those they love. Jac and Malachai have known each other since she was a teenager, and while he continues to obsess over the search for the 12 memory tools, Jac continues to hold him in esteem until events shake her faith in him. However, Seduction is less about the search for memory tools and more about uncovering the past and past lives. Each of these characters is seduced, either by their grief or their fear, and in the end, their triggers may be different but their obsessions threaten to take them over. While the narrative slips between Jac’s story and that of Victor Hugo, as well as a period during the time of the Druids, these stories could have easily stood on their own had it not been for the reincarnation connection threading through the entire novel. In many ways, the connection to Hugo could have been explored without the Druid connection, but Rose’s story arc carries a deeper sense of connection between her characters. In addition to reincarnation and seances, the narrative has elements of the Gothic, with the dark brooding sea and the mysterious disappearances of young girls, intertwined with the treasure hunt for Victor Hugo’s journal. Rose’s narrative is like the faint scents of perfume winding their way into the nasal cavity from a distance, only to strengthen as the tantalizing aroma beckons the reader further on the journey to the source. Seduction by M.J. Rose is a novel full of mystery that only unravels with time and patience as Jac journeys outside her comfort zone to embrace her talents as a perfumer and a reincarnated soul. I, for one, cannot wait to see what Rose has in store for the next installment in this series, though I’m not ready to say goodbye to Jac.